Now the 7th day with snow on the ground and -8 deg C when I went out. 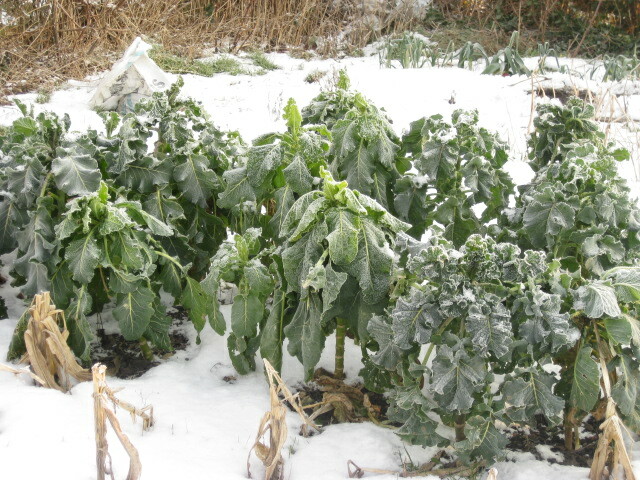 I heard on the radio the other day that fruit growers are very pleased at the cold snap. 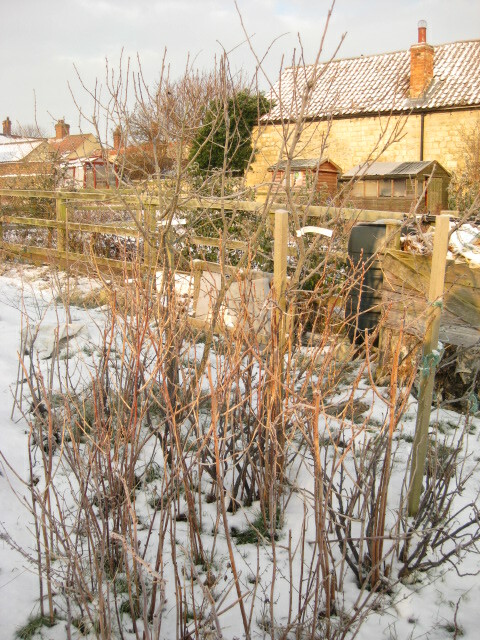 Due to the mild autumn and early winter, they were concerned that the fruit trees weren't getting the period of cold needed for the trees/bushes to help produce next year's fruit crop, thus affecting yields. Be careful what you wish for! After a heavy snowfall on the 4th of February in the afternoon (complete with phantom accidents on the overhead road signs on the M1! ), the snow has hung around, getting more icy, with another big dose of snow on Thursday 9th evening. 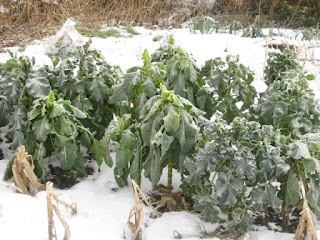 Not much above freezing during the days so only a slight thaw, which has refrozen again into ice during the night. Not as bad a the last two winters though, but there's time yet! 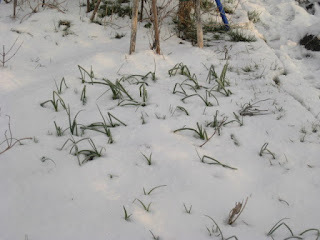 Allotment photos in the snow - the winter onions just poking out of the snow - they have had a good amount of growth in late autumn so should be fine, they are pretty hardy and most of them survived the last two winters. 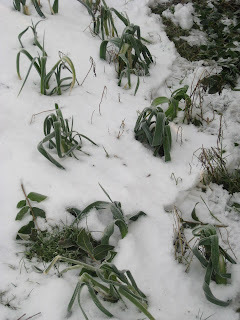 Impossible to get the leeks out at the moment, they just snap off when you try and lift them! And it won't be long until spring and broccoli! We've had a bit already, even a few springs of purple sprounting, but the main crop will be another month or so yet.